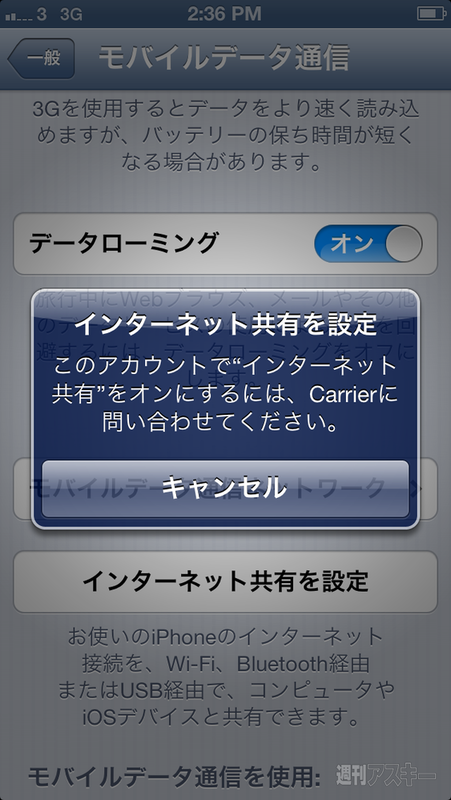 UPDATE:Shukan Ascii is now reporting that tethering works with the Hong Kong iPhone 5 and a Docomo Xi SIM. 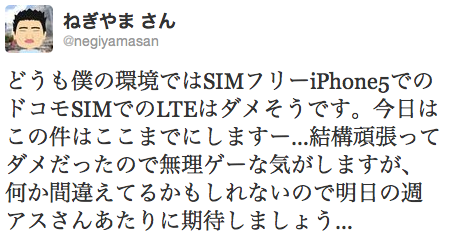 LTE does not work with BOTH a Docomo SIM and a Softbank 4G LTE SIM..Misread - works with a SBM SIM. Contact your carrier to activating internet sharing on this account. 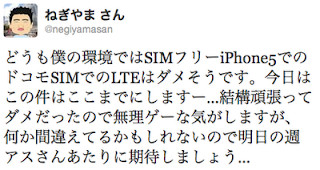 It looks like the iPhone 5 won't work with Docomo LTE for me. This is all I can do for today. I tried everything but I don't think it's going to work. Maybe I'm making a mistake somewhere, so let's see what Shukan Ascii has to say tomorrow. The tweet refers to a, shukan ascii has an article out that 1) indicates SIMs can be cut down and used at the same thickness and 2) tethering would not activate while off it's home network in Hong Kong. That is, the phone is "roaming" while being used on Docomo. I have yet to see the follow-up article. iPhone 5 is data roaming while using a Docomo Xi SIM. 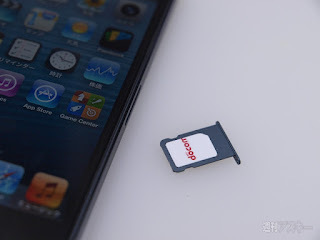 If there is no way to edit preference files to add Xi as a native network, the functionality of the iPhone 5 may be horrendously reduced while being used with Docomo or B-mobile, making it not worth buying at all. Smells like Carrier.plist editing will be necessary which means a full jail break too... which means never being able to be on the latest version of iOS the day it comes out. 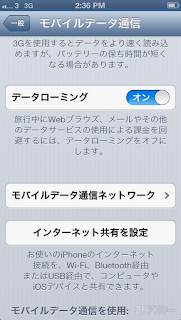 So, just to confirm the update... docomo sim worked for both tethering and 3G but no LTE with a Xi SIM? And the SBM SIM was from a nano from iPhone 5 or a cut one from a different phone? I went to the docomo shop today and changed from FOMA to Xi. Since I've already had the LTE sim card cutted and slotted into my iphone5 prior to visiting the store, there wasn't a need to change sim cards - but when the staff sitting opposite said that the change in service was done, I was kinda stunned since there wasn't any LTE logo on the iphone5.. rebooting didn't work either. I asked the staff if the change was immediate and if I could use LTE immediately, and he said yes. I also confirmed with him that my sim was indeed the red LTE one, and he said yes.. And that I was in an area covered by LTE, he said yes.. I was like.. Oh okay.... maybe I've gotta wait a few hours? - *few hours later* Still reads as 3G despite rebooting it for several times. I even tried it on another unlocked Iphone5 when I got home and still it didn't work. Both iphone5 models are A1429 GSM. Oh and, even on 3G I couldn't go on google the first time despite putting mopera.net as the APN. 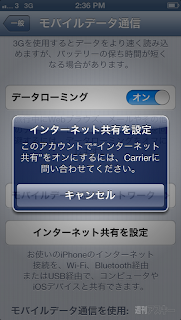 Only after did I input the user and pass for my mopera account in the iphone5's APN fields then could I surf the web. This wasn't written in any of the Japanese tech websites. I wonder why? I'm pretty okay even without LTE, since the monthly bills didn't change as much. But what killed me most was the cancellation of the monthly subsidies when switching from FOMA to Xi. I just kept saying "yes yes yes" to whatever the staff was saying, even when he mentioned the cancellation. In my mind I was like "LTE LTE LTE! I NEED MY DAMN LTE!" lolll but yeah....bummer. IIRC 30,000yen something gone just like that. Jeez haha, oh well! Hope some solution comes up soon.